Plumbing problems like clogged drains and leaky pipes is already filthy as it is; but it can only get messier at the thought of letting complete strangers get inside your home. Let our uniformed personnel from 4Star Plumbing Services ease your worries away! 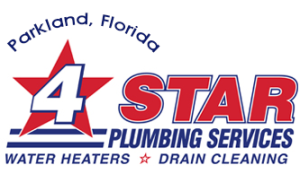 4Star Plumbing is the trusted specialist for heating and plumbing services in Parkland FL and the surrounding areas in Broward County including Hollywood, Overland Park, Pembroke Pines, Fort Lauderdale, Lauderdale at Sea, Dania Beach, Davie and Deerfield Beach. 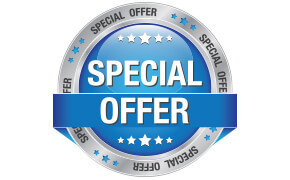 Our experts do not just randomly show up at your door without notice and any identification from 4Star Plumbing – they would come to you complete with our uniforms and ID’s that would ease every amount of worry you might have about opening your home to strangers. 4Star Plumbing Service is as careful and a wary as you are about having strangers tinkering in and around your very home. We have the same qualms about security and safety. That is why we have made certain that our servicemen are checked for more than just their technical skills but more importantly for their personal and criminal backgrounds. We take all that extra effort, along with making sure that they come to you complete with the necessary documents and identification. This is especially important for our emergency crew whom you might call for in the dead of the night. We want to give you the best customer experience and we know that the first step to doing that is allowing you some much-needed peace of mind. For more information about our crew, our services, or schedule a visit from us, call our Parkland hotline at 954-776-9888!